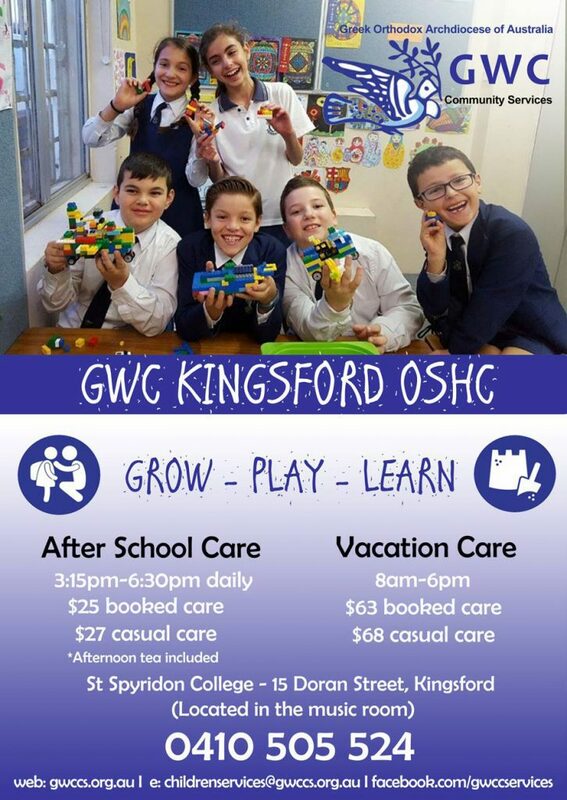 GWC Community Services’ Kingsford Outside School Hours Care (OSHC) program provides after school and vacation care for primary school aged children (5-12yrs) at St Spyridon College. Our programs provide parents with the security of knowing their children are being cared for in a safe, friendly and relaxed environment outside school hours. Nutritious snacks based on the Dietary Guidelines for Children and Young People in Australia are offered to the children, together with a wide variety of interesting play and recreational experiences. OurFamily Handbook has a summary of our policies and procedures for your information. Vacation Care programs are available on request. Families are asked to enrol online via the these links.